The Valley Center Recreation Commission facilities are among the finest the region. Credit for these outstanding facilities goes not only to the recreation commission board and staff, but also to the many volunteers, participants, families and community members of Valley Center who use these facilities. The complex is situated east of the middle school and is accessed from McLaughlin Drive. 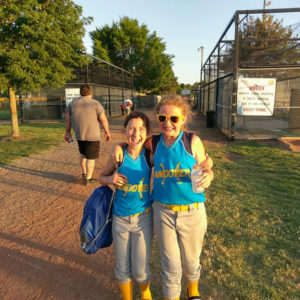 The 8.5 acres of this complex includes six baseball and softball diamonds, which accommodate a variety of age divisions from 5-year-old T-ball leagues to up to 15-year-old softball leagues. All of the ball fields are natural grass, have lights and are irrigated with well water. The complex features an abundance of bleachers, a concession and storage building, permanent restroom facilities, maintenance sheds and equipment storage and two large batting cages. The complex also includes an irrigated, natural grass, high school regulation size soccer field which is maintained and scheduled through the recreation commission. 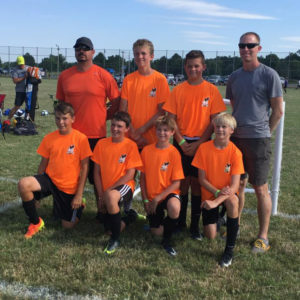 This 11.5-acre complex is located on North Emporia Street just north of 5th Street and consists of eight soccer fields which support age groups from U6 to U12. Construction of this complex, which was completed in 2014, included sod and a unique blend of grass seed designed to save 30 to 50 percent in watering costs when compared to conventional fescue blends. These soccer fields are irrigated with well water. The Valley Center Public Pool is located at 255 East Allen Street at the northeast corner of Lion’s Park. 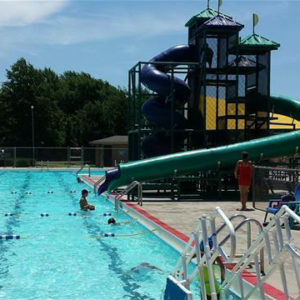 The swimming pool is generally open from the end of May through early August, with public swimming hours from noon to 6 p.m. Monday through Saturday and 1 p.m. to 6 p.m. Sunday. The facility features two diving boards, a climbing wall, two water slides, restrooms and locker rooms and a shaded concession stand area. Individual and family season passes are available, and the pool can be rented for private events. Located at 820 North Emporia Street, the Valley Point Golf Course is the crown jewel of our facilities. The 35-acre facility opened in 2016 and features a 9-hole golf course, 25 station, 2.5-acre driving range, putting green and 1,000-square-foot clubhouse. 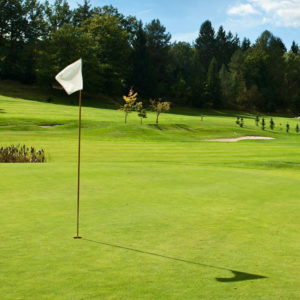 The greens on the golf course consist of a unique synthetic surface, X-Grass Turf by Tour Greens. The surface is highly durable and provides a substantial savings in maintenance costs. The natural grass areas of the course are irrigated with water supplied by an on-site 2-acre pond. 8 a.m. - 12 p.m. | 1 p.m. - 5 p.m.